Around this time a couple of years ago, I sat in the flat I shared with my boyfriend and cat in London and wrote a jealous and bitter post about how I wasn’t going to the TCM Film Festival like everyone else in blog land but it was okay because I had other things to do, so there! Whatever! Despite living in southern California when Turner Classic movies launched their now-annual film festival in Hollywood, I’ve never been before. I haven’t mentioned this here, but I’ve been back in California for a year now (visa issues; but I’m going back to London in the fall for another Master’s degree – professional student for life! – and to resume my life with boyfriend and kitty). So this year I was determined to go to the festival I’d heard so much about…if I could get a media credential. TCM, smartly in tune with how much their fans drive their success as a network, has reportedly been pretty open to allowing film bloggers to cover the festival for their respective sites. I was encouraged by a friend to apply to be one of these reporters, so I did and I guess they liked my blogging skillz to pay the billz (or something) because I’m heading down to LA next week to cover the festival for vivandlarry.com! Thanks, TCM! 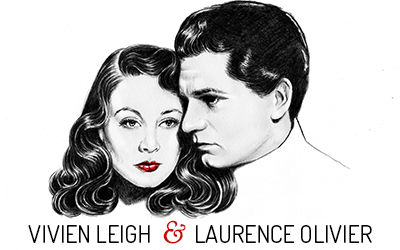 This year’s theme: “History according to Hollywood.” Unfortunately, they’re only screening one Vivien Leigh and/or Laurence Olivier film this year – Alfred Hitchcock’s Rebecca. But since I’ve already seen that film on the big screen and have written about it previously, I’ve decided to forego it in favor of curating a personal schedule of films that I mostly haven’t seen (or haven’t seen on the big screen, anyway) before. Here’s my tentative schedule. I didn’t think it would be this hard to choose! In fact I posted this on Facebook about 10 minutes ago and have already changed my mind about some films. This year’s festival takes place from March 26-29. I’m very excited to finally meet a lot of the bloggers I’ve had the fortune of “knowing” on social media over the past few years, as well as seeing some old friends! Be sure to subscribe to updates in order to be notified when new posts are made here on the blog. I’ll also be live Tweeting/Facebooking/Instagraming so you can be part of the experience, too! Join me on this adventure where I talk about films, old movie stars, and what happens when you get a ton of rabid classic film fans in a one mile radius. It should be interesting! And if you’re going to be at the festival, please let me know because I’d love to meet you! 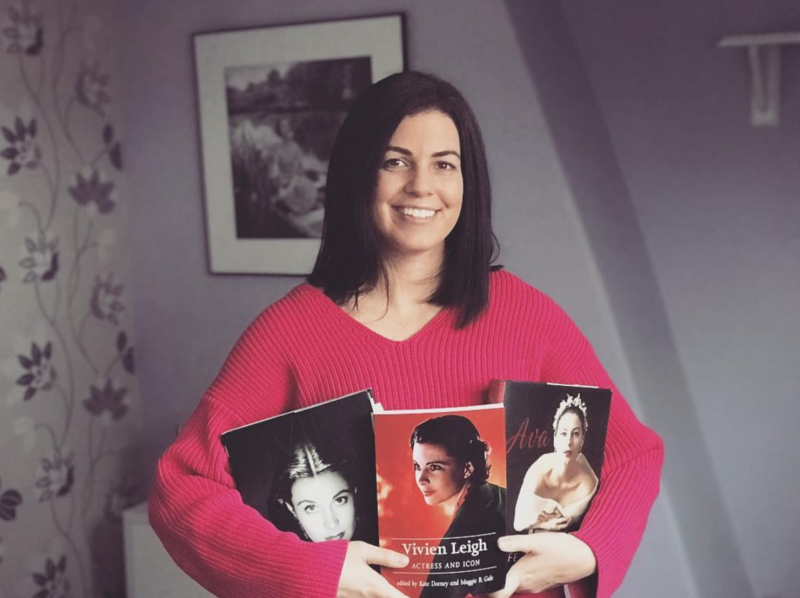 Also, if you have a copy of Vivien Leigh: An Intimate Portrait on hand, I’d be happy to sign it for you. See you next week in LA, everyone! Kendra, sounds fantastic! Should be a great experience– looking forward to your reports. Also, just curious –and maybe I’ve just missed earlier mentions on your wonderful blog– but what will your second master’s be in? Thanks, Kendra! That sounds like a great complement to your Film Studies. Again, looking forward to your TCM reports. Hope to get out there one of these years myself. Thanks, Joel! I’m so excited to finally be going! And I hope to see you there! We’ve connected on Twitter but just a note to say once more I enjoyed reading your picks and look forward to connecting at the festival — I plan to bring my book along Thursday evening, since our movie picks are the same, in hopes of having it signed. :) You should be very proud of the book as it is both deeply substantive and beautiful to look at. Glad you’ll be able to return to London in a few months! It’s a city I love — was last there in 2009 when my daughter spent a semester at Queen Mary College — it’s been too long! I highly recommend REIGN OF TERROR which I was fortunate to see Norman Lloyd intro a couple years ago at the Noir City Festival — it’s an excellent film and a gorgeous restored print.